Hydrate, hydrate, hydrate. Before, during, and after hiking. Bring more water than you need, and when it is half done, return to the trailhead. Dehydration is nothing to laugh at; it can cause vomiting and diarrhea, requiring immediate medical attention. Dress appropriately. Wear appropriate footwear; shoes or boots with good tread – NO flip flops or sandals. Wear sunscreen/sunblock, and a hat. Hike in the early morning or evening hours when it is cooler. Stay on designated trails; watch for markers, and signs. Keep in contact. Bring a cell phone. If hiking solo, let someone know where you are hiking, and when you should return. We have A M A Z I N G hiking here in Sedona! 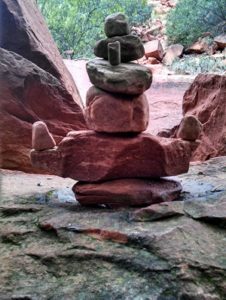 If you have any questions, El Portal Sedona Hotel’s owner, Steve Segner is an avid outdoorsman and can help with anything related to hiking and Sedona. When you stay with us, you receive unparalleled concierge services for the Sedona area. 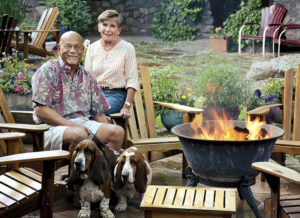 El Portal is a AAA Four Diamond Hotel in the heart of Sedona, a pet friendly boutique hotel. 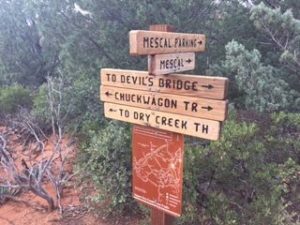 Here, we want to make sure you get the most out of your trip to Sedona. Hike safely!